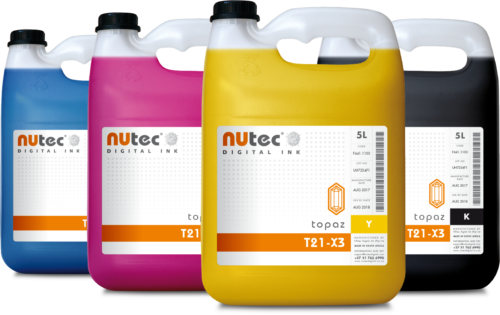 Topaz T21-X3 is a premium quality, general purpose, mild solvent ink, formulated for use in printers using the Konica14pl/42pl and Xaar print heads. With a wide colour gamut and high optical density, image quality is unsurpassed when using the Topaz T21-X3. 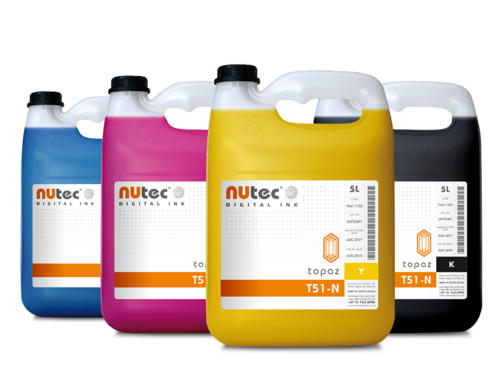 Topaz T51-N is a general purpose, mild solvent ink designed for use in 42-80pl printheads such as Spectra®, Hitachi Koki® and Xaar®. It features a wide colour gamut and is suitable for a wide range of self-adhesive and flexible substrates. Topaz T35-SK-LS is a premium quality mild solvent ink, ideal for reliable and efficient high-speed printing. It is optimised for use in Seiko® SPT 35pl and performs well on a range of other print heads, including Spectra Polaris and Konica Minolta. This low-smell ink also offers excellent media compatibility across a broad range of self-adhesive and flexible substrates, with a high gloss finish.